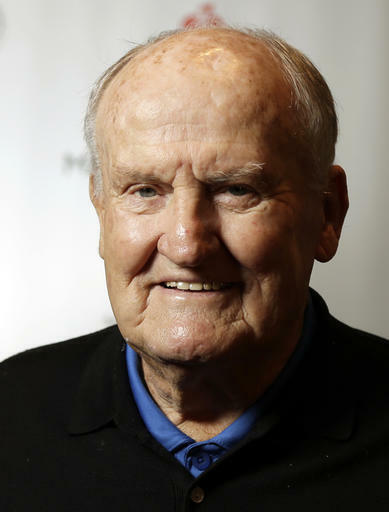 COMMENTARY – Today the world lost a great man as LaVell Edwards passed away at the age of 86 due to complications from breaking his hip. First, my sincere condolences go out to all the family and friends of this great man. He will surely be missed and never replaced. As my Facebook feed and sports pages all filled with the news of his passing, I couldn’t help but spend time reading what so many former BYU players, alumni, fans and football fans in general have been posting. I can sum all of it up with one sentence: LaVell Edwards was bigger than life, a great man and changed the lives of countless people and the face of BYU and football forever! He was a great husband, father, grandfather, coach, friend and mentor to so many people. There’s a hole in the world for so many that will never be filled. The impact from him will last for generations and in a way, he will live on in football as a legend (one of the best). The stadium named after him is a monolithic tribute to what he did for BYU football. He quite definitely put BYU football on the college football map. Edwards was BYU’s head coach from 1972-2000, and there has never been a man who has impacted the program and college level football like him. 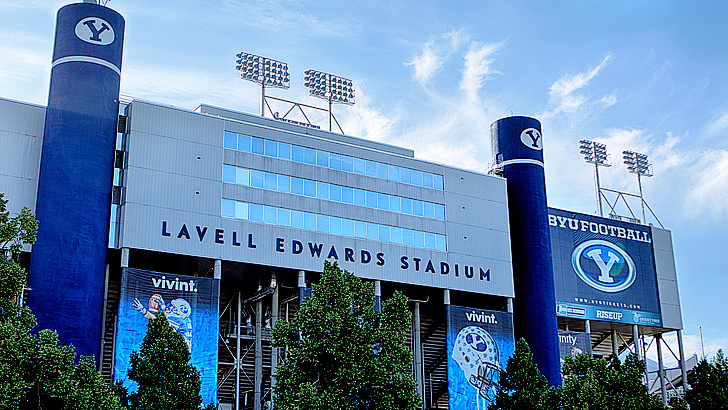 You could call LaVell Edwards the face and name to BYU football and it will remain that way. Edwards is sixth on the NCAA all-time list for coaching victories (257), a member of the College Football Hall of Fame, coached six All-American quarterbacks (he was the founder of the original “Quarterback Factory”). His teams led the nation in passing offense eight times, in total offense five times, and in scoring offense three times. LaVell Edwards and his staff changed college football forever. Quarterbacks like Ty Detmer, Steve Young, Jim McMahon, Steve Sarkisian and Robbie Bosco all were products of LaVell Edwards. BYU winning the National Championship in 1984 was a product of his leadership as one of the best college coaches in history. His coaching style, playbook and direction of the West Coast offense still live on in the NFL and college football today. His achievements as head coach at BYU almost seem endless, but that’s not how so many will remember him best. People will always remember what a great man he was. Although LaVell Edwards retired from coaching at BYU in 2000, a little more than year before I officially enrolled at Brigham Young, his presence never left, I can promise you that. He often made casual visits to check on his friends, old staff, and how his program was doing. He was always welcomed with open arms and his great attitude was felt by all. You could tell he was admired and respected. LaVell was never my head coach at BYU, but BYU’s program is his program, no doubt, and will always be. He touched so many of my friends, old teammates, and coaches all around the Cougars program. 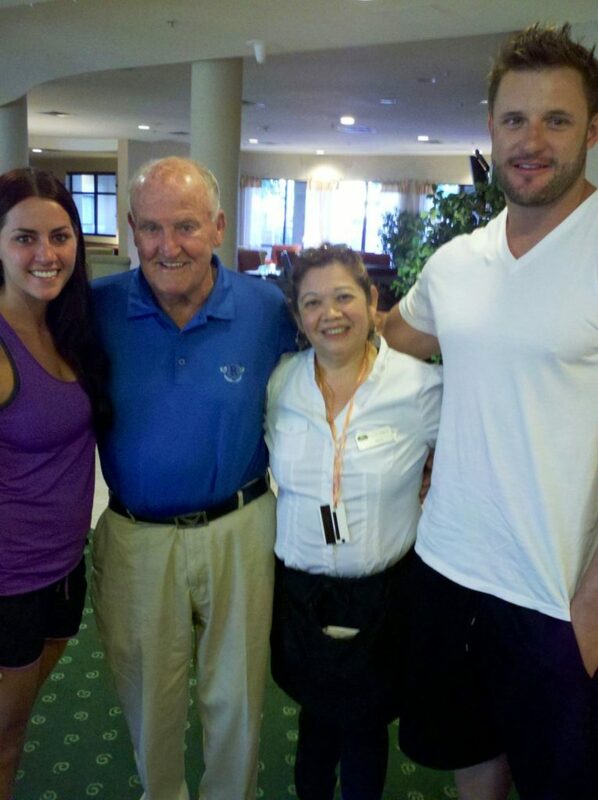 Columnist Scott Young (far right) and his wife Malissa (far left) with LaVell Edwards and an unidentified hotel employee in 2012. I had such a great experience with LaVell Edwards and it has always stood out to me over the years as to the impact he made off the football field. About four years ago, my wife and I ran into LaVell in Southern California in a hotel lobby as he left the restaurant after breakfast. I really wanted to go introduce my wife to this great man and without any hesitation we walked up to LaVell and started a conversation with him. I said hello to him and said, “My name is Scott Young, a former BYU lineman.” He looked at me and said “I know who you are.” I was pretty shocked that after many years (10, to be exact), that he would remember me with such clarity. He actually recalled things about my past that I could barely remember myself. This was noticed by several hotel employees and you could tell that people started to recognize him and crowd around him. I then introduced him to my wife, Malissa. He was extremely polite to her and gracious with his time. I then asked him if we could get a picture with him and he said yes. The next day, my wife ran into him in the lobby and he said “It was really nice to meet you, Malissa,” and I again was shocked that a day later he still remembered my wife’s name. I know that this is just one small memory, but again it just shows you what a great man he was. So devoted, caring and selfless with his time. His lifelong impact will live on and in bigger ways than just football. Blue Blood is a sports column written by former BYU lineman and captain Scott Young. The opinions expressed are not necessarily those of St. George News. St. George resident Scott Young is a former NFL player who also starred at Dixie State and BYU. An avid outdoorsman, Young was an All-American at Dixie in 2001 and was named National Junior College player of the year that year. He then went on to become team captain at BYU before being drafted into the National Football League. Young played four years with the Philadelphia Eagles and finished his NFL season with the Cleveland Browns. He currently is part owner of OLWM and still coaches at local camps and privately.